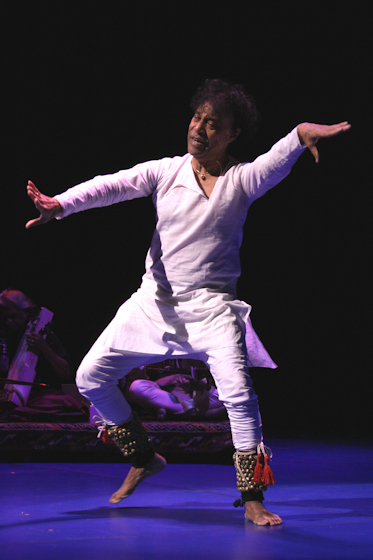 Chitresh Das, a native of Calcutta, West Bengal, was a virtuoso in the north Indian dance form Kathak. The name stems from katha, a word for the art of storytelling. 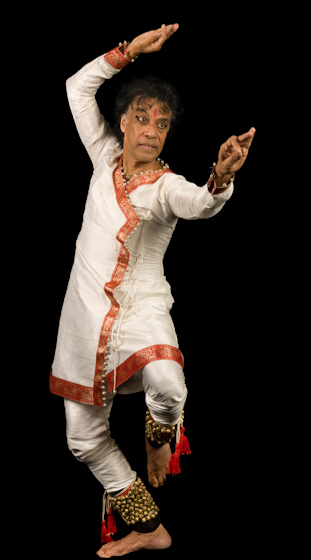 In ancient India, artists known as Kathakas narrated history while entertaining with dance, music and mime, bringing to life epics such as the Mahabharata and the Ramayana. Das, a child prodigy, grew up in his parents’ institution, Nritya Bharati, where many Indian gurus came to perform and teach. 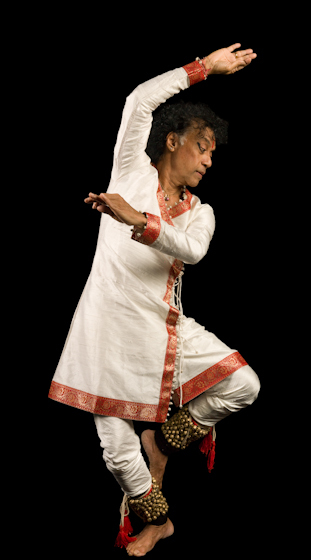 At the age of 9, Das began studying with Pandit Ram Narayan Misra. 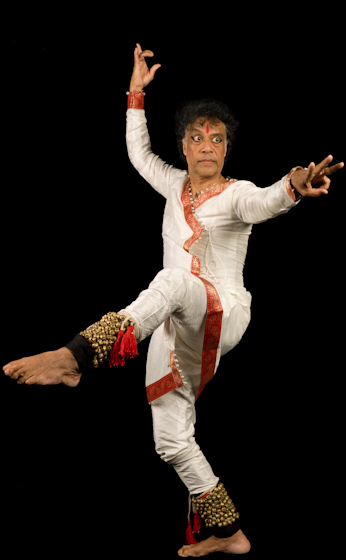 His training included the solo tradition, in which the dancer must perform for two to three hours, improvising rhythms, compositions and storytelling. “Pandit” (master) is a term of great respect that has also been bestowed on Das. In 1970, Das received a Whitney Fellowship to teach at the University of Maryland. The following year, he was invited by master musician Ali Akbar Khan to teach at the Ali Akbar College of Music in San Rafael, California. 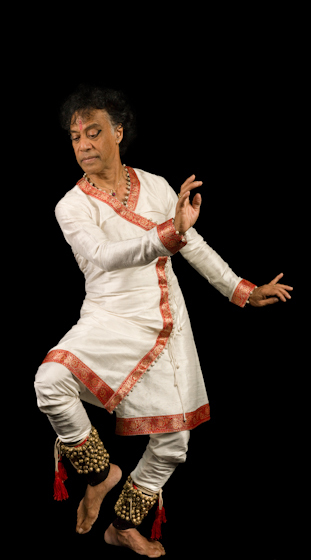 In 1979, Das established his own dance company and school in San Francisco. 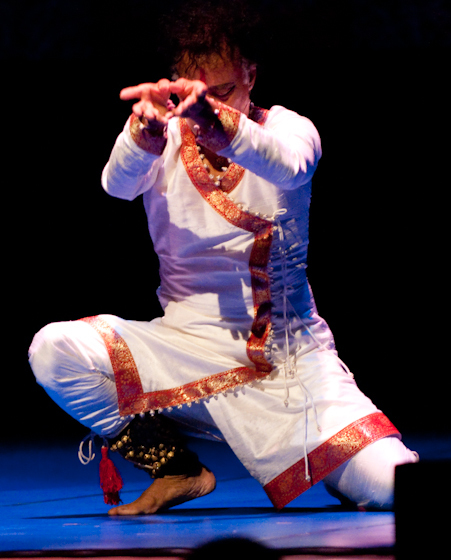 The school has branches in India, Boston and Toronto, and the company performs internationally. 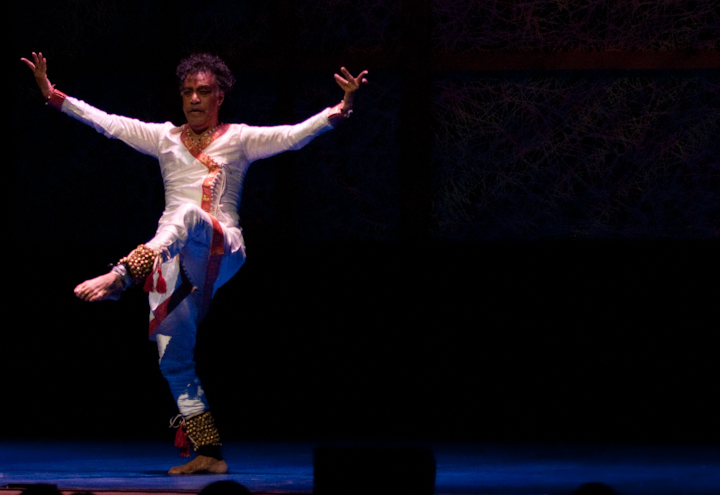 In addition to performing, Das was involved in creating and choreographing cross-cultural touring performances, including East as Center, which features both Indian and Indonesian performers, and India Jazz Suites, which involves the young tap dancer Jason Samuels Smith. Kothari, Sunil. “Dance of the Masters.” The Hindu Magazine (November 21, 2004).